Thursday April 19th (2 PM UK) – Today Codemasters announced that Dirt Showdown, is set to be released on May 25th! 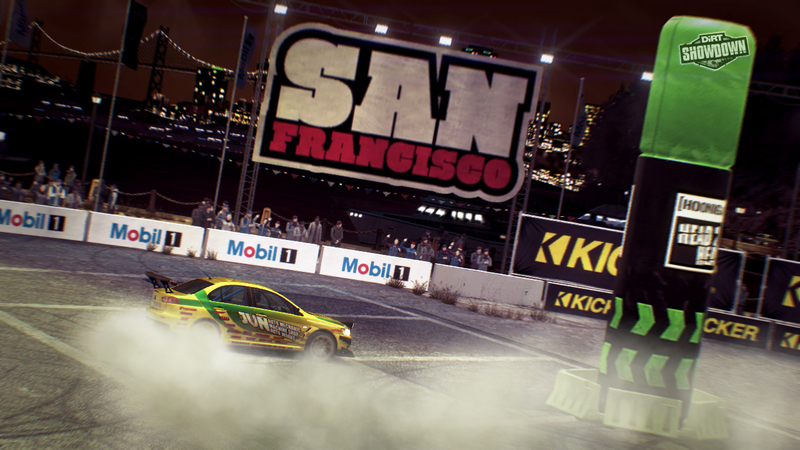 DiRT Showdown will be the first game to launch on the company’s new publishing label Codemasters Racing. 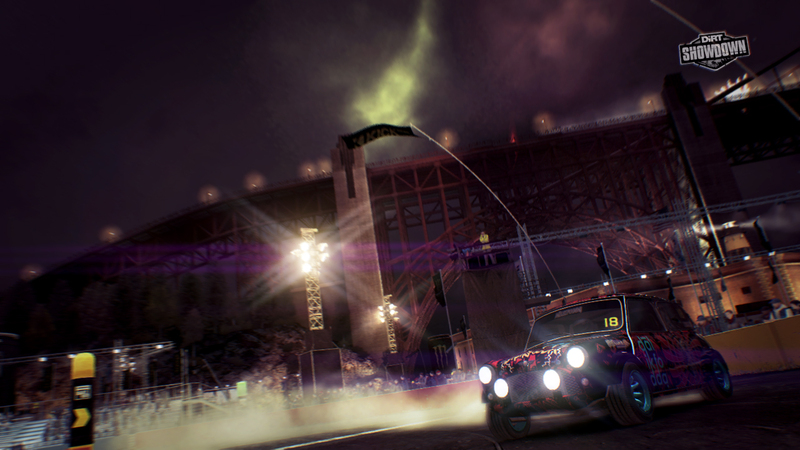 To Commemorate the occasion, Codemasters have released the ‘Ultimate Hoonigan’ gameplay video featuring the tricks and stunts players can perform in Dirt Showdown’s Hoonigan game modes. The video features Ken Block’s Ford Fiesta H.F.H.V Gymkhana 5 which features exclusively in DiRT Showdown, going head-to-head with a Mitsubishi Lancer Evo X JUN! 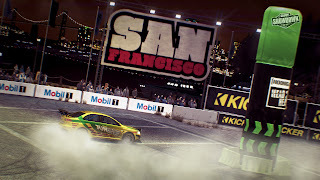 Codemasters also announced that the playable demo of DiRT Showdown is due to launch worldwide from May 1st. The demo will feature a solo and multiplayer event and will be available from Xbox Live, PlayStation Network and Steam. 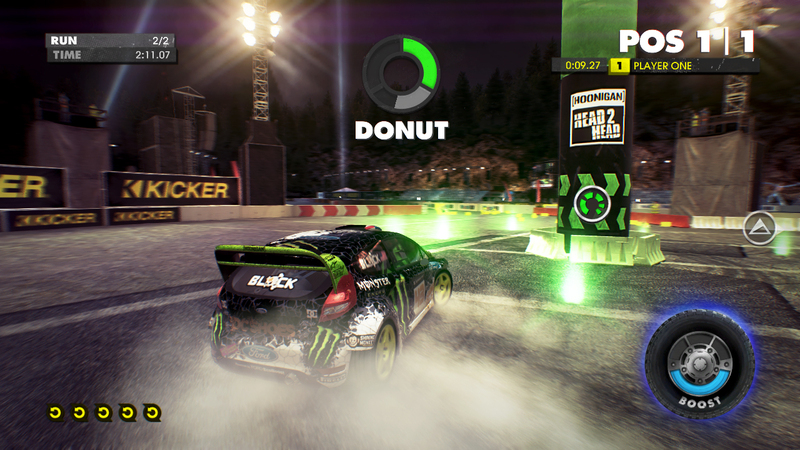 A special ‘Hoonigan’ edition of DiRT Showdown is now available to pre-order exclusively from Gamestation and Game. Sporting unique packaging, the DiRT Showdown: Hoonigan Edition will include an in-game cash boost, an online XP multiplier plus Monster Energy liveries for the Kohler D350, Duke Coupe and Ford Fiesta Gymkhana 3 and Hoonigan liveries for the Holbrook Growler, Logan Vulture and Mitsubishi Lancer Evo X JUN(as seen in the ‘Ultimate Hoonigan’ video), redeemed via an online code. See the Hoonigain Gameplay trailer below! See new screenshots below! (Clicking on a screenshot will trigger the gallery for easier viewing).